Why Did I Write a Jazz Bowing Book? 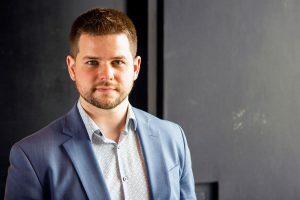 I recently received an email from a masters student who is doing research on jazz bowing techniques. He asked a few interesting questions about my book Jazz Bowing Techniques for the Improvising Bassist, which I thought I would present here. From Art in England: I am currently writing my Master Thesis in Musicology on the Topic of the Arco Bass in the Jazz idiom. In the chapter I am working on at the moment, I am comparring your approach as stated in Jazz Bowing Techniques for the improvising Bassist and Franz Simandl’s New Method for the Double Bass. What was your approach to writing Jazz Bowing Techniques? Were you influenced by the Simandl school or a completely different approach? Could Jazz Bowing Techniques for the Improvising Bassist be seen as an continuation or progression of Simandl? When I wrote Jazz Bowing Techniques for the Improvising Bassist in 1990, my goal was to inspire bassists to follow the path of Paul Chambers, Slam Stewart, Jimmy Blanton and the others who developed a jazz “voice” with the bow. It was also my goal to find my own voice with the bow, so I could improvise in many different situations, exploring all of the sonic possibilities that the bow has to offer. I studied out of the Simandl book, as many players did, when I was first learning to bow the bass. I found the approach to be good â€” very correct and practical. The book is considered by many to be the ultimate bible of bass technique. The exercises are dry, not particularly musical, and do not take practical examples from classical bass literature. However, despite the shortcomings, the book has guided countless bassists throughout the decades towards good bass technique. The Simandl approach is mainly applicable to traditional classical music, but not necessarily modern classical music and certainly not jazz. When I was first researching and practicing bowing techniques in the ’80s, I could not find any information on jazz players and the basic techniques that they used to bow improvised solos that “swing.” At that time, I studied with Dave Holland and Michael Moore (two great bow players). I was working out and emulating their bowing techniques and finding my own exercises through listening to and transcribing other great players.Â I wanted to further explore the techniques in-depth that would give me more improvisational options with the bow. 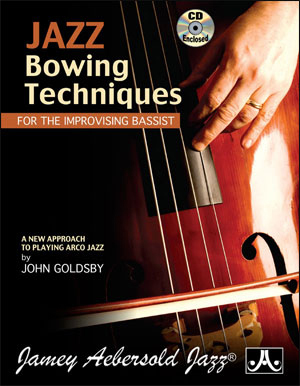 When compiling information, exercises and transcriptions forJazz Bowing Techniques for the Improvising Bassist, my approach was not to mimic a particular school of classical bass methodology, but rather to lay down a basic set of guidelines that jazz players used and could continue to use and develop. In that respect, I see Jazz Bowing Techniques for the Improvising Bassist as a parallel line of study to any basic, classically oriented method. I see the role models for playing improvised arco solos not only as the great bass players, but all of the great jazz improvisers (Sonny, Miles, Lester Young, etc). I tried to explain the elusive element of swinging with the bow, especially with the demonstrations on the play-along CD that now accompanies the book. None of the classical methods deal with swing or jazz phrasing — and that is the area on which Jazz Bowing Techniques focuses. There are many elements common to both classical and jazz (good sound, good intonation, proper shifting techniques), but the swing and rhythmic elements are what really sets the two approaches apart.